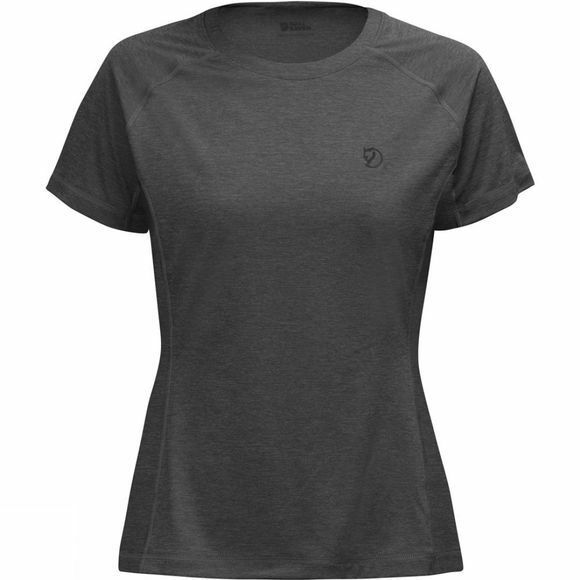 Lightweight and packable T-shirt for trekking and strenuous activities. Made from functional material with polyester that wicks away moisture and dries fast. Side panels and back in mesh for extra ventilation where it is needed most. The well-fitting, feminine cut features raglan sleeves and a round neckline. Flatlock seams reduce the risk of chafing.